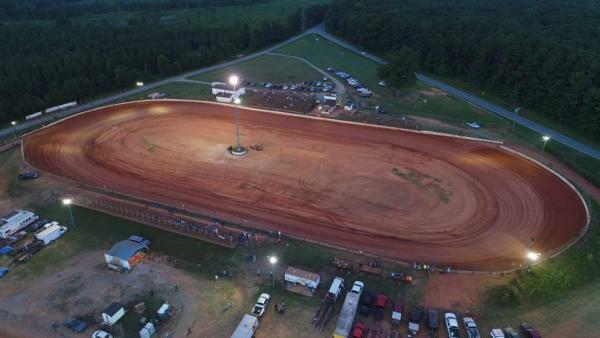 The Speedway formerly known as Clary's Speedway or Clary's Motor Speedway located in Brinkleyville, North Carolina has been purchased from recent owners and will open under new management in April 2019 as Halifax County Motor Speedway "The Red Clay Bullring". Halifax County Motor Speedway is a local 3/10 mile dirt track surfaced with red clay. Halifax County Motor Speedway will host 7 different classes throughout the 2019 race season featuring Late Model, Limited Sportsman, Open Wheel Modified, Pure Stock V8, Super Stock 4 Cylinder, Pure Stock 4 Cylinder, and U-Car. Halifax County Motor Speedway will also host the I-95 Late Model Challenge Series 3 times a year. The new owners promoted the track in 2017 in which they ran 15 races that year with a lot of big events such as 3 I-95 Late Model Challenge Series events, the "Monk Memorial" July 4th race, a Pure Stock V8 Special paying $2200.00 to win, Side By Side ATV racing, along with extra purse money events for the Limited Sportsman, U-Car, Super Stock 4, and Pure Stock 4 divisions. The Speedway also held an Awards Banquet in December 2017. Rules for each class will be posted at the end of November for the 2019 race season.